Lady and the Blog → Living → I’m Looking For NYC Interns: Do You Want To Write For ‘Lady and the Blog’? I’m Looking For NYC Interns: Do You Want To Write For ‘Lady and the Blog’? I’m looking for a few NYC based women to attend parenting / mom blogger events. 99% of these functions are in the city and it’s very hard for me to get in these days. However, I still want coverage of the latest and greatest from my brand partners. 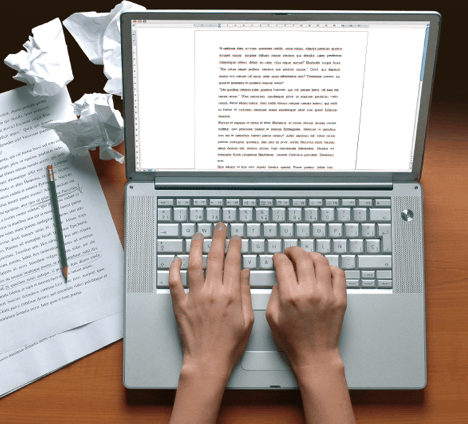 Do you want some online writing experience? Are you looking to boost your resume? How about form relationships with top brand names? I would love for you to intern with ‘Lady and the Blog’. Most functions have gift bags at the end of the day. You get to keep everything they are offering. This is a great way to meet new brands. Believe me – I get invited to at least 10-15 events a week. It’s a SHAME that I can’t go to them. Events might be product launches, MSG shows, or trips. There are a TON of things to do. On occasion, transportation is included. HOWEVER – it is not always the case. This is why I am looking for NYC writers. It’s easier if you live there. Know someone who might have an interest? Send this post along!! I’m packing my bags to move right now. LOL! I wish. Good luck – I hope you find some awesome people to represent you! I know that you are looking for NYC writers but would you consider a LI girl? I have a 2 and a 4 year old and this sounds like a fun experience for our family! For the sample, you want a new baby product? So we should go out and buy some product and basically write a review of it? This sounds like a great opportunity. I am in NJ 5 minutes from the city! equipment, my boy seems to fall asleep right away and then its pretty simple to carry him around. Soulagé,mousseux nouilles à travers Partager au-dessus hommage pirater un compte facebook youtube. répondre au-dessous EMG, pirater un compte facebook comment faire.